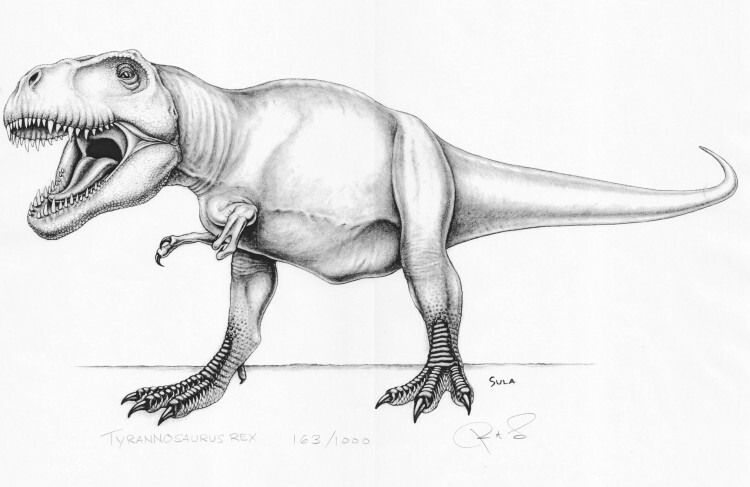 We are very pleased to have signed up our first artist, who is extremely well know in the field of Paleontology. 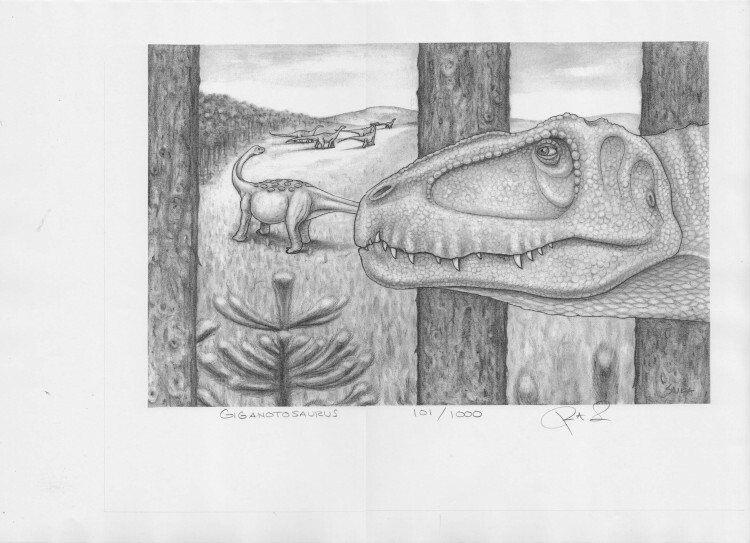 Rob Sula is offering his limited edition prints only through Fine Fossils. All the prints are on Acid free & Light fast paper, so will not fade. These limited edition prints originally appeared in Mark Renz's book "Megalodon, Hunting the Hunter". Rob Sula wrote and illustrated Chapter 12 of that book. Rob Sula has thousands of hours of experience, hunting and excavating Dinosaurs, and has guided groups prospecting for Dinosaur remains in the Hell Creek Formation since 1998. He has also participated in over twenty paleontology excavations, and has supervised several excavations, including three dinosaurs with skin preservation. In 1999 Rob co-discovered the "Licking Leaf" site, which has produced over 100 new species of Late Cretaceous plant fossils. Rob is donating these new species fossils to the Denver Museum of Nature & Science. 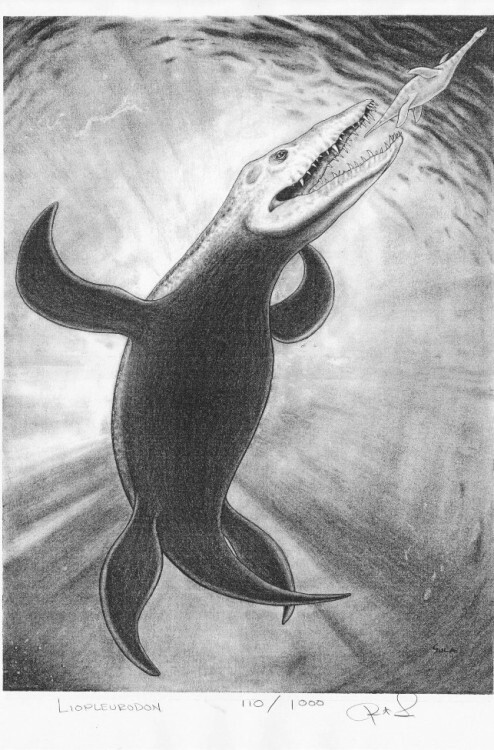 In 2003 Rob found a 36 foot Tylosaurus proriger that was so complete it had preserved skin on the rib cage. When it comes to fossils Rob knows his stuff ! He has a BFA in drawing and painting from the University of Michigan, and Art Education Certification from the Art Institute of Chicago. Rob has lectured about his paleontological exploits, and teaches Paleontology at the College of DuPage in Glen Ellyn, Illinois. 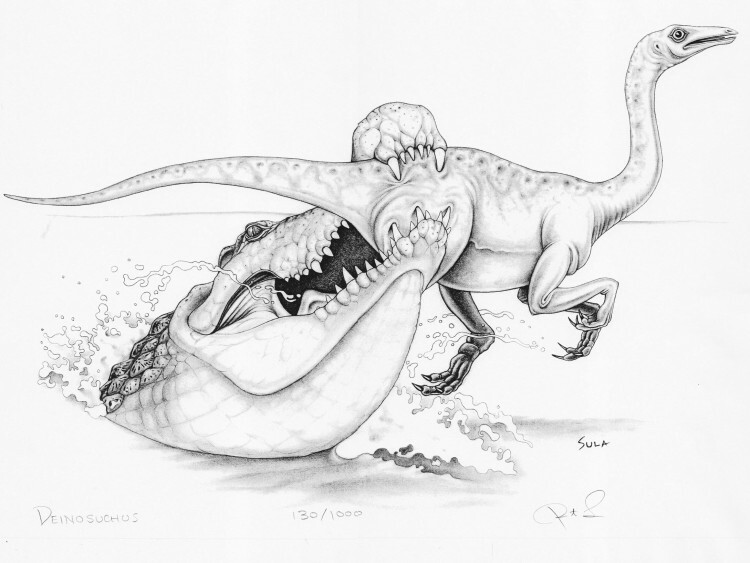 The massive Liopleurodon chasing its prey, a 4 metre long Plesiosaur. 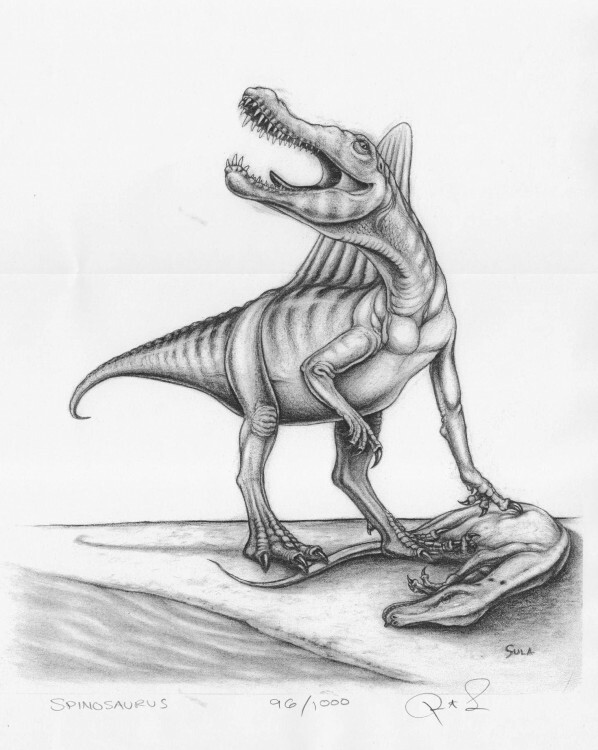 Fantastic illustration of Spinosaurus standing over its kill.